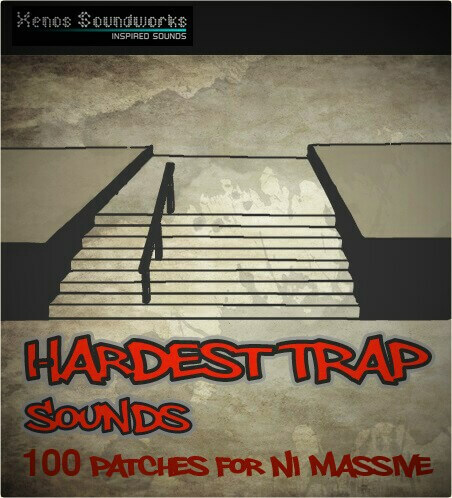 ‘Hardest Trap Sounds’ is a collection of 108 hard-hitting, forward-thinking presets by one of Native Instruments’ sound designers – creator of all 50 Massive patches for the ‘Helios Ray’ Maschine expansion, plus other Hip-Hop related contributions. This sonic stash will help inspire some seriously legit Trap, Twerk and Dirty South bangers. Featuring soaring leads, aggressive stabs, unigue sound effects, risers, thunderous basses, sweet bells, even a token serving of synth strings, brass, percussion and keys, you will have an entire sonic arsenal at your fingertips. All 8 Macros have been intelligently assigned in each patch for maximum variety and expression. Please note that this soundset is in NMSV format only. Bryan ‘Xenos’ Lee has worked as a sound designer for such companies as Native Instruments, Cakewalk, Rob Papen Inspiration Soundware, ReFX, Camel Audio, Image-Line and many more. His work is found in several Maschine expansions and the factory presets of such synths as Z3ta 2, Alchemy, Gladiator, Punch, Toxic Biohazard, Scanned Synth Pro 2, Chipsounds, U-he Hive, D.I.V.A., etc. He is also very active in developing his own brand, Xenos Soundworks.